Samsung has already introduced its M series by launching M10 and M20. Now one more smartphone is under process. 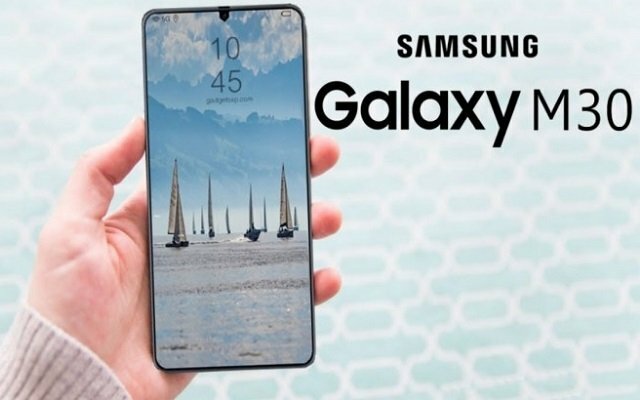 According to some latest leaks, Samsung is planning to launch the Galaxy M30 very soon. Now some leaks reveal the dimensions and layout of the smartphone. The rumors reveal that M30 will have a gradient finish in both black and blue. 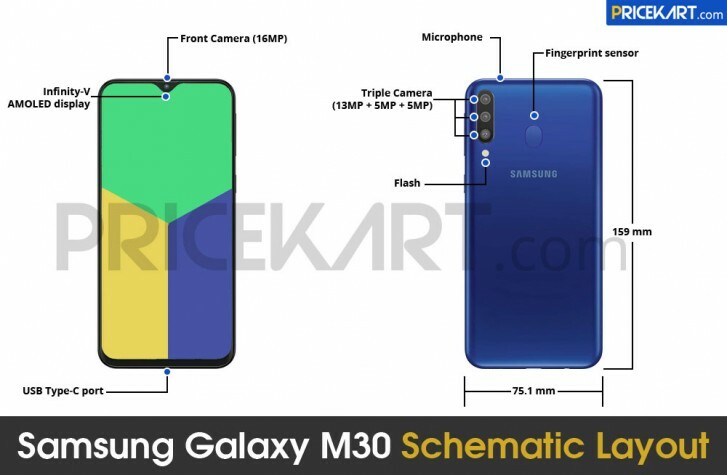 Just like M20, the Samsung Galaxy M30 leaks reveal that it will also have a fingerprint scanner on the back. Furthermore, the Galaxy M30 will come with a triple camera set up. Among them, one is made up of a 13MP camera, and two other 5MP sensors, with presumably a wide and a telephoto lens each. On the other hand, the front camera will have a 16MP resolution. Furthermore, the Samsung Galaxy M30 is 159mm long by 75.1mm wide. At the bottom of the phone is a USB-C port. The rumors also reveal that the phone will have a 6.38-inch Infinity-V AMOLED screen with FHD+ resolution. Moreover, the phone will be powered by an Exynos 7904 CPU. Interestingly, the M30 will come with 6GB of RAM and will have 128GB of internal storage. One of the main features of M30 will be its powerful 5000 mAh battery. However, these are all rumors. Samsung has not announced any information regarding the device yet. But we will update you when we will get more information about it.